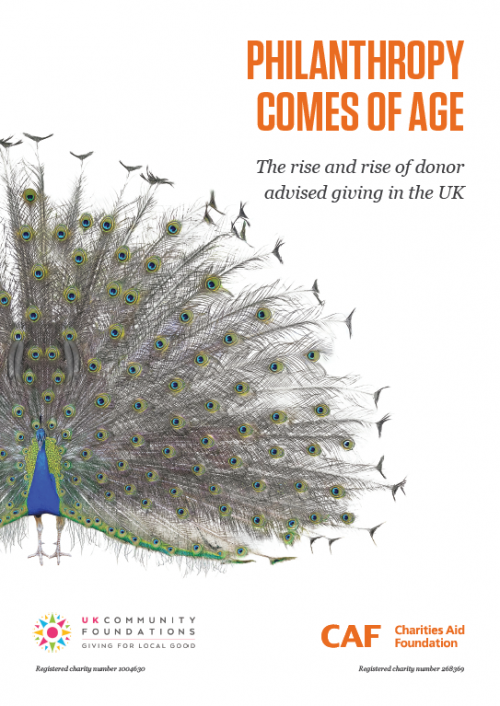 Charities Aid Foundation (CAF) and UK Community Foundations have published a report on the rise of donor advised giving in the UK, called ‘Philanthropy comes of age’. Click here to read the report in full. Both Charities Aid Foundation and UK Community Foundations are passionate about growing philanthropy, and we hope the report will highlight opportunities for giving going forward.